Welcome to Friedland | Carmona. Jonathan R. Friedland, managing partner, and Michael Carmona, partner, of Friedland | Carmona are South Florida personal injury attorneys located in Miami, Florida. Our Miami personal injury lawyers specialize in catastrophic injuries, wrongful death cases, motor vehicle accidents, including car, bus, motorcycle and truck accidents, slip and trip and falls, defective products, medical malpractice, brain injury, construction accidents, worker’s compensation claim and insurance disputes. The attorneys at Friedland | Carmona are equipped to handle any accident where you or your loved one has been injured as a result of another person’s negligence. As South Florida personal injury lawyers, we pride ourselves on our service to the South Florida Legal Community. Jonathan R. Friedland, an experienced Miami accident attorney, has received an AV rating from Martindale-Hubbell, which is the highest rating an attorney can be awarded. 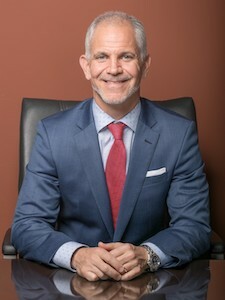 Further, Jonathan R. Friedland has served as President of the Miami-Dade County Justice Association and is an Eagle Member of the Florida Academy of Justice. Jonathan R. Friedland also holds prestigious membership in both the American Board of Trial Advocates, an invitation only Association, and the American Academy of Justice. Jonathan R. Friedland has tried over sixty-five jury trials in both Florida State and Federal Courts. Due to his trial experience, South Florida Legal Guide has rated Jonathan R. Friedland as one of the top Florida accident lawyers in the personal injury field. Friedland | Carmona takes a personalized and family style approach to every case we handle and every client we work with. Understanding the frustration and sadness that often follow accidents, our Miami personal injury lawyers offer caring and compassionate help. The friendly and bilingual staff at Friedland | Carmona will handle all of your legal needs, when you need it most. If you or a loved one has been injured in any type of accident, the staff at Friedland | Carmona is here to assist you in dealing with the insurance companies and fighting to ensure you receive the best possible result for your claim. If you are unsure if you have a claim or case, call our office at (305) 661-2008 or email us today for your free consultation! If you do not receive any money for your claim, then you will not have to pay any fees. If you have been involved in an auto accident, if you have slipped or tripped and fallen, if you have been injured by a defective product, if you believe your loved one suffered a wrongful death or if you have been involved in any other type of accident caused by another person’s negligence, the Miami personal injury attorneys at the Friedland | Carmona are here to help you! Many people who are entitled to compensation never pursue their claim because they are unsure whether they have a case. Do not let this happen to you! Call our offices today! We are here to offer guidance to you and your family and fight for the recovery you deserve! Will my consultation with you be free?